While living in South Korea we discovered two things: a) Every nation has a different take on Chinese food and b) Authentic Chinese food, when discovered, is absolutely, friggin' fantastic! While living in Daejeon, we discovered a fantastic little Chinese restaurant which our British friend described as being 'Proper". Within minutes of having our plates set before us we realized that 'Proper Chinese' was the best Chinese. So, when a wealth of eggplants landed in my sink, I was quick to remember a tasty eggplant and potato dish and went to searching for a recipe which would bless our taste buds and remind us of a meal, and people, we dearly loved. Heat oil (enough to nearly cover potatoes and eggplants when being fried, you'll definitely need to be adding more throughout the process) over medium heat. When oil is ready (sizzles when sprinkled with water) deep fry the potato until golden and crispy. Next, fry the eggplant until beautifully browned. In a wok, heat 1 Tbsp. 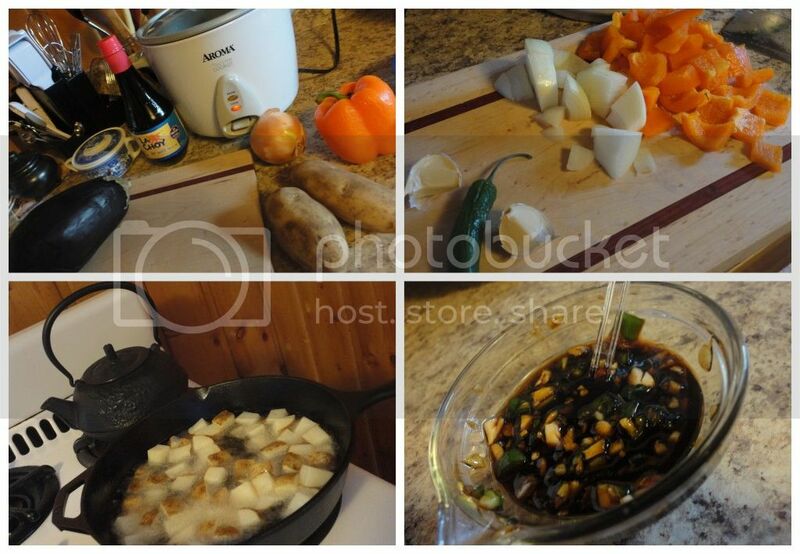 Oil, saute the bell pepper and 1 diced Jalapeno until tender. 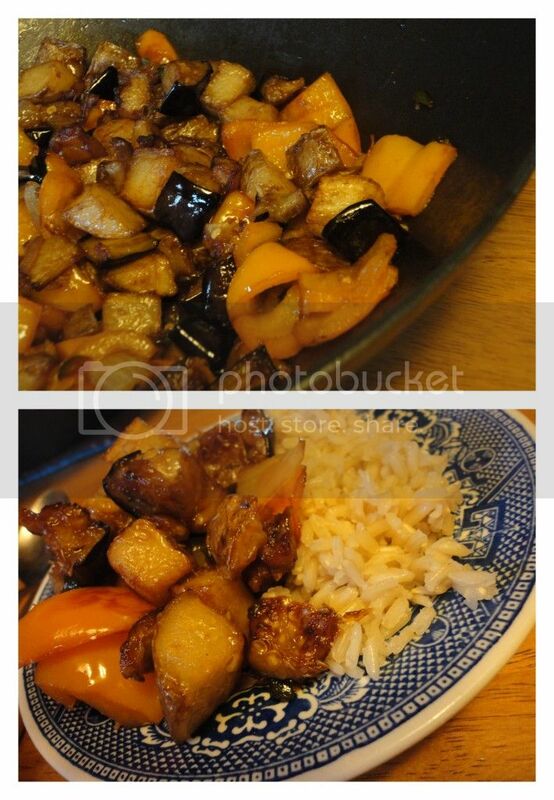 Add the previously fried potatoes and eggplant. In a small dish, mix together 1 1/2 Tbsp. Soy Sauce, 1/2 Tbsp. Sugar, and 2 cloves minced Garlic. Pour over vegetables and heat through until aromatic. Serve over rice and bust out the chopsticks!